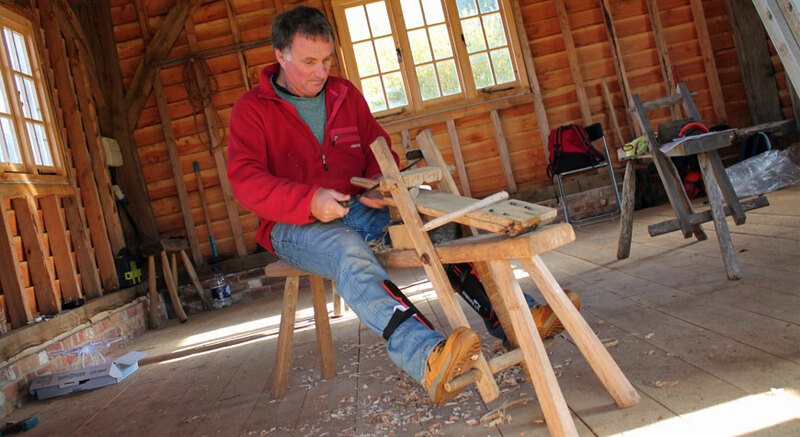 Stroll down the high street to see the replica timber framed 18th century shipwrights’ workshop overlooking the Beaulieu River. 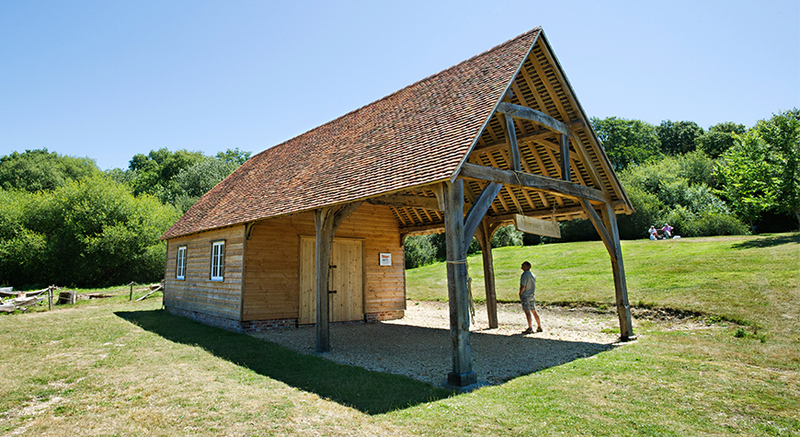 Constructed using hand hewn timber from the Beaulieu Estate, the replica workshop was hand-raised on 2nd August 2014. 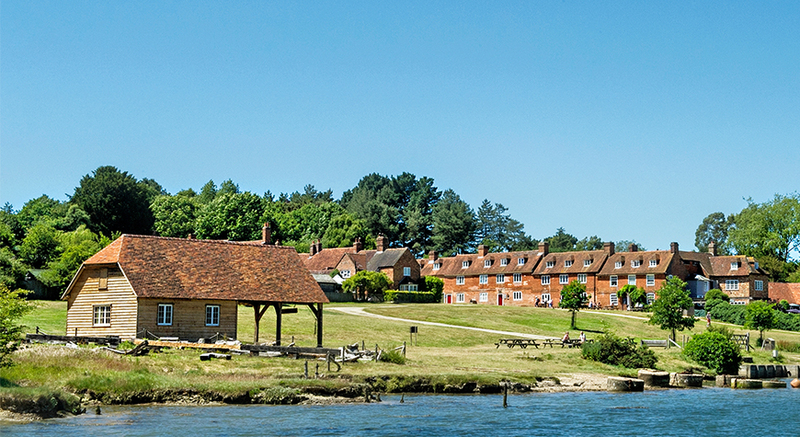 It now blends perfectly into the historical surroundings of Buckler’s Hard. 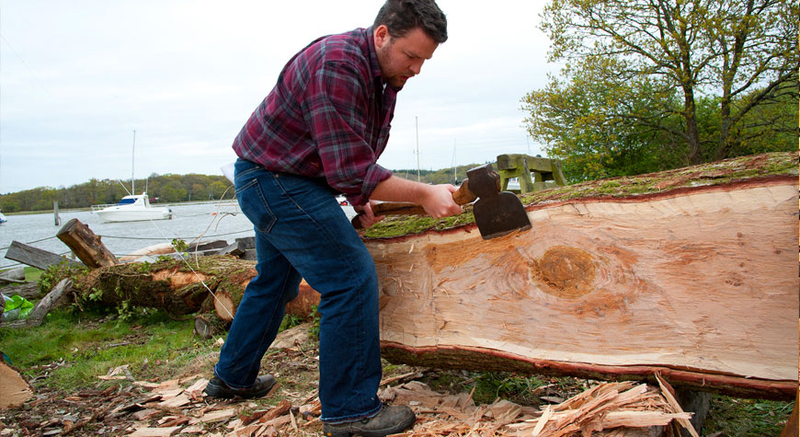 Visit us over the May bank holiday weekend to watch shipwright students at work. 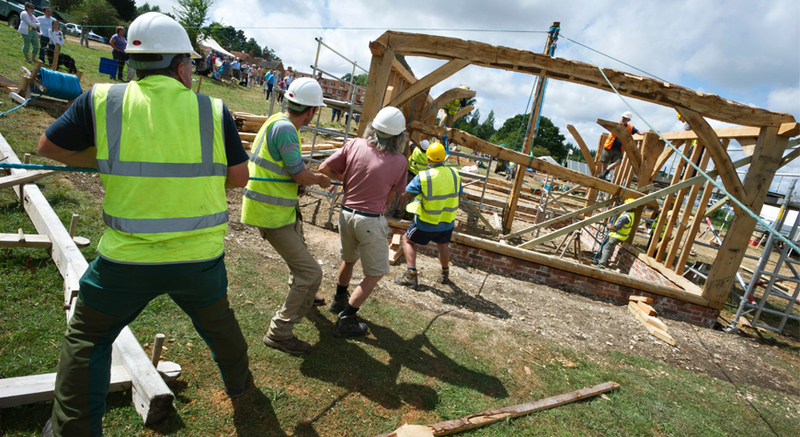 Archaeology students from Southampton University will be getting to grips with traditional shipbuilding techniques and visitors are invited to come along and watch. 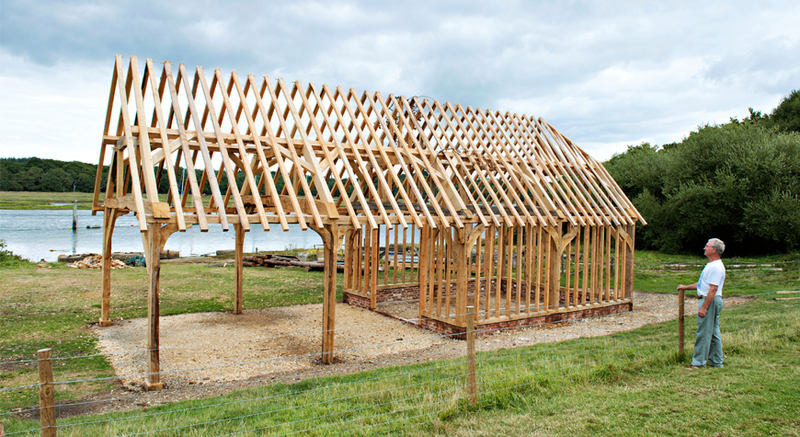 The building process was run as a community training project to teach traditional building skills. The finished workshop is the result of many hours of intensive manual labour by apprentices, students and skilled carpentry experts. 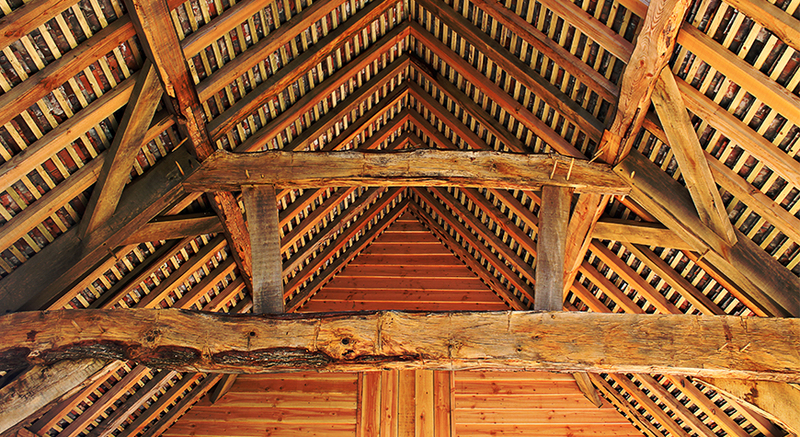 The shipwrights’ workshop was built using timber from approximately 50 trees, all grown less than a mile away from Buckler’s Hard. It is glazed with special 18th century replica glass and tiled with re-claimed tiles to maintain its traditional charm. 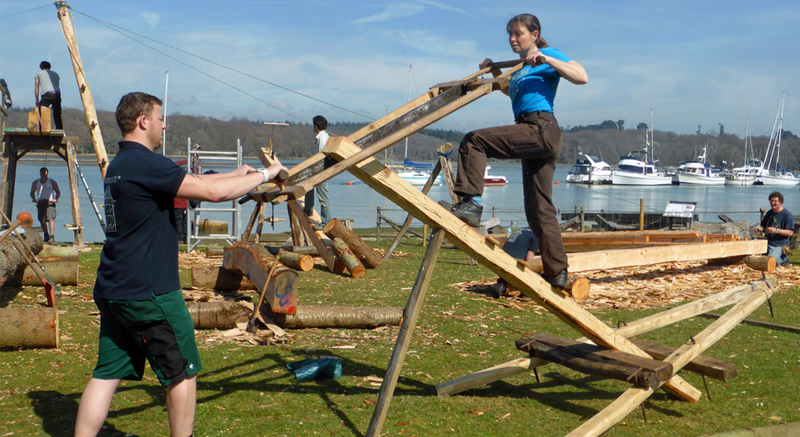 Follow the progress of the project on the Shipwright School Blog. 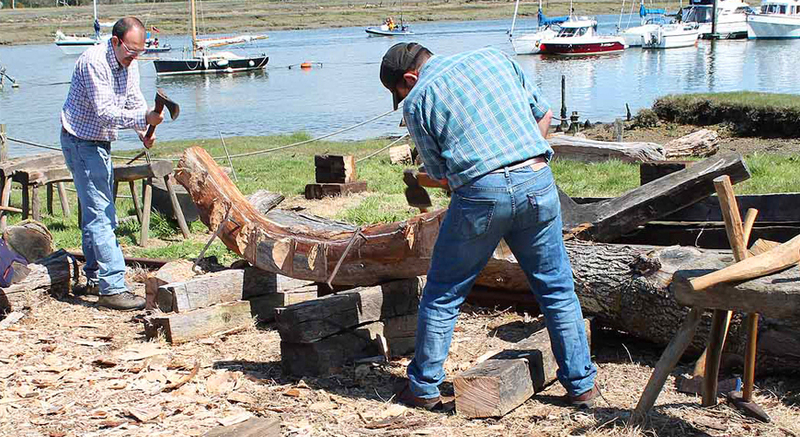 The Shipwright School project was part-funded by the New Forest National Park Authority’s Sustainable Development Fund. The Sustainable Development Fund is a grant scheme to encourage sustainable ways of enjoying and living in the New Forest National Park. 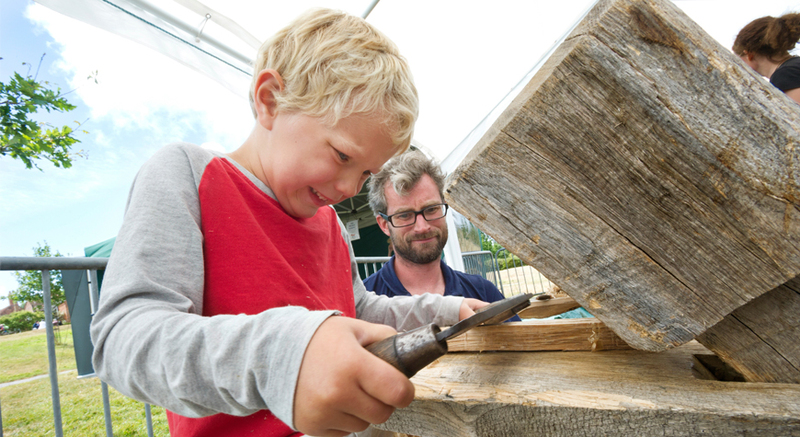 Buckler's Hard is in a beautiful setting on the Beaulieu River and contains an interesting and well-managed Maritime Museum which depicts the history of shipbuilding. Coins dated 2014 have been placed under the studs in the wall plate for prosperity and luck.